Small program for dynamical decoration of desktop. It allows you to bring snow and rain onto your computer screen! 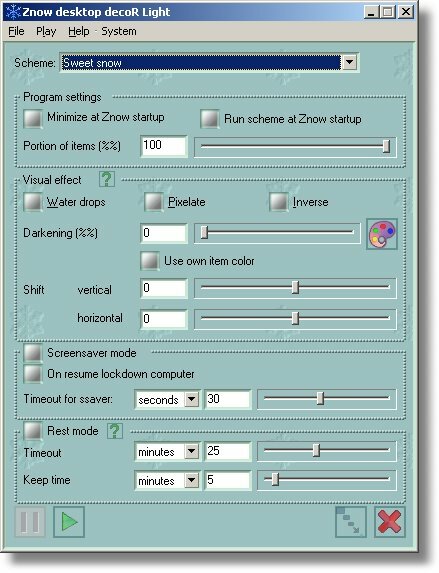 Znow relaxes your eyes.